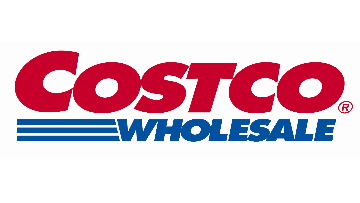 Costco Wholesale Canada Ltd. operates 84 warehouses in 9 Canadian provinces. We currently have 69 pharmacies, and have plans for continued growth and expansion. Costco's unique operating philosophy not only defines our company but also helps us stand head and shoulders above industry standards. We owe a lot of our success to our ongoing commitment to the spirit of our founders. 2. Take care of our members. 3. Take care of our employees. Our pharmacies offer a professional working environment, with a generous staff complement, Kroll operating system, private and semi-private counseling areas, and access to a multitude of on-line resources. We support the health and well being of our patients through the delivery of annual flu clinics and a variety of health promotion clinics throughout the year for conditions such as asthma, diabetes, osteoporosis, and hypercholesterolemia on an ongoing basis. You are energetic and friendly with a desire to use your knowledge and skills in the delivery of pharmacy services to patients (within the boundaries of your training). You demonstrate exemplary communication skills, and are comfortable speaking to a group or one on one. You must be a critical thinker with strong problem solving skills. Work with the supervisor to establish professional competency goals at the outset of the rotation to build upon the experience of previous rotations. Work with your supervisor to identify opportunities that will differentiate Costco pharmacists and their professional services. Work with the professional services team to perform some of the research involved in developing, structure, execute and evaluate pharmacy professional programs including disease state management and continuing education. Evaluate potential new programs and service opportunities for pharmacy and make recommendations to Supervisor. Perform research as assigned and needed, related to a disease state, natural health product, other over the counter product or medication adherence, to support pharmacy Managers and OTC buyers on pharmacy professional matters and programs. Devise ways of summarizing and disseminating information. Some limited opportunity to assist in performing medication reviews. Make recommendations for management of pharmaceutical drug recalls across Canada. Perform environmental scan of industry developments resulting from provincial associations and competitors’ actions to Supervisor. Assist supervisor in the review of professional content for pharmacy/advertising/marketing initiatives. Review professional content for OTC labels and brochures and other Costco publications. Learn how to address common problems or issues that arises from pharmacy incidents. Work with and provide support to the pharmacy operations team to help ensure that Costco pharmacies are practicing in a safe, lawful, ethical, and professional manner in all aspects of prescription processing and dispensing. Help develop/update and implement important pharmacy operational policies and procedures. Work with the Pharmacy administration team to help with third party audits. Evaluate potential new programs and service opportunities for pharmacy and make recommendations to the operations team. Perform research as assigned and needed related to Pharmacy Operations to support the regional operations managers and pharmacy managers. Devise ways of summarizing and disseminating information. Help research solutions and address any problems or concerns relating to pharmacy operations that may arise.